Prof John Garry and Jamie Pow talk Brexit, borders, and backstop options following the publication by the European Commission of the draft legal text on the Withdrawal Treaty. If it all feels a bit déjà-vu, it’s probably because we have indeed been here before. Back in December the European Union and the United Kingdom thought they had reached a preliminary agreement on the three main ‘withdrawal’ issues (of the divorce bill, citizens’ rights, and the Irish border), only for Northern Ireland’s Democratic Unionist Party to apply the brakes and insist on a crucial revision. “The United Kingdom remains committed to protecting North-South cooperation and to its guarantee of avoiding a hard border. Any future arrangements must be compatible with these overarching requirements. The United Kingdom’s intention is to achieve these objectives through the overall EU-UK relationship. “In the absence of agreed solutions, as set out in the previous paragraph, the United Kingdom will ensure that no new regulatory barriers develop between Northern Ireland and the rest of the United Kingdom, unless, consistent with the 1998 Agreement, the Northern Ireland Executive and Assembly agree that distinct arrangements are appropriate for Northern Ireland. Taken together, these two paragraphs set out three options for dealing with Northern Ireland. Option A would maintain a frictionless border through the overall UK-EU future relationship. Option B would involve the UK introducing “specific solutions” to avoiding a hard border in the event that Option A was not possible. Failing both Options A and B, Option C would be for Northern Ireland to maintain full alignment with the EU’s customs union and single market. It is important to note, therefore, that neither the UK nor the EU see this as the preferred option. It is a safeguard mechanism that would only come into effect in the event that the UK failed to meet the commitments it had already undertaken. The draft legal text on the Withdrawal Treaty published by the European Commission is simply the logical – and somewhat lengthy and legalistic – extension of what has already been agreed. However, while the European Commission has fleshed out ‘Option C’ in considerable detail in its draft ‘Protocol on Ireland/Northern Ireland’, the proposed legal text does not set out how all of the commitments in Article 50 of the Joint Report could be upheld. The reason from the EU’s perspective is straightforward: affirming the commitment to avoiding any new regulatory barriers between Northern Ireland and the rest of the UK is an internal matter for the UK itself. This is likely to cause significant discomfort for the British government. Reliant on the pro-Leave Democratic Unionist Party for an overall parliamentary majority, it is under pressure to deliver a ‘clean’ break from the EU for the UK in its entirety – without differentiated treatment for Northern Ireland. Within the Cabinet, Boris Johnson has accused the European Commission of “exploiting” the Irish border issue to ultimately keep the UK in the customs union and single market. He insists that it is possible, through innovative solutions, to withdraw from both and avoid any new border infrastructure. It feels as if the same circular arguments have been running on a loop over the last two years, but the Brexit process is advancing. As it does, firmer positions need to be taken and details mapped out. The European Commission is moving away from the language of ambiguity towards spelling out with much greater clarity what different scenarios would actually involve. Hazy language on Northern Ireland may have bought the UK government some time, but such ambiguity ultimately comes with a short shelf life. If the British Prime Minister is to keep everyone on side, can her government produce a protocol setting out how to preserve the status quo of its own internal market if Option C came into effect? If not, then it surely creates added incentive to making Options A or B viable. A cynical interpretation might view this as being part of the EU’s strategic plan all along. This raises a fundamental question: what is the UK’s strategic plan? The clearest way of making Option A work is for the whole of the UK to remain in an EU customs territory and regulatory framework. This arrangement, of course, would breach two of Theresa May’s red lines. However, it is not an unrealistic scenario; indeed, it has grown more, not less, likely as March 2019 draws closer. With Jeremy Corbyn’s call for the UK to remain in a customs union with the EU, a fundamental dividing line has opened up between Labour and Conservative Party policies. With Sir John Major calling for the same yesterday, it is possible that Conservative MPs of the same opinion will feel emboldened to throw their support behind critical amendments tabled by Anna Soubry and Ken Clarke to keep the UK in a customs union. With a working majority of just 13, and even factoring the support of some Labour rebels, the government knows that it would take only a small number of Conservative MPs voting in favour of the Soubry/Clarke amendments to inflict serious damage to its stated negotiating position. Still, if the amendments were defeated and if Theresa May pressed ahead with her goal of the leaving the EU’s customs territory, Option B comes into play before Option C would be considered. 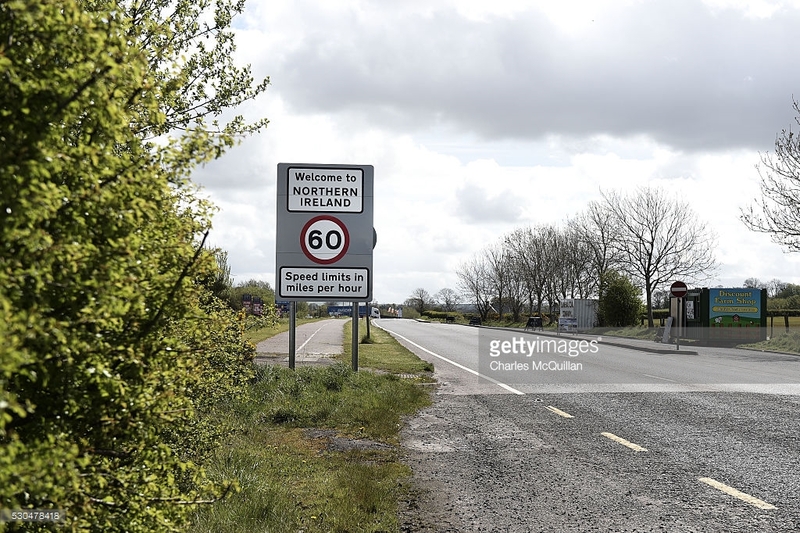 Perhaps technological solutions could ensure that the border between Northern Ireland and the Republic of Ireland will be as frictionless as the border between the London boroughs of Islington and Camden. Such solutions are not beyond the realm of possibility: Lars Karlsson, former Director of the World Customs Organization and Deputy Director General of Swedish Customs, has proposed a ‘Smart Border’ to avoid a hard border on the island of Ireland. Critics note that such systems are largely untested, and that physical border checks may still be unavoidable. Given that the Foreign Secretary told the Prime Minister it would be “wrong to see the task (of the government) as maintaining ‘no border’,” on the island of Ireland, scepticism is understandable – and has likley increased the EU’s desire to seal Option C as a legally binding safeguard. However, the draft legal text makes it clear that the ball is firmly in the UK’s court. It can deliver Brexit and maintain the constitutional integrity of the UK, providing its other goals are in alignment. At present, there are glaring inconsistencies. Having taken one decision to fundamentally change the UK’s constitution – by leaving the European Union – it would be surprising if other parts of the UK’s delicate constitutional balance were immune from its potential consequences. Jamie Pow is a postgraduate research student in the School of History, Anthropology, Philosophy and Politics at Queen’s University Belfast. Article originally appeared on the UK in a Changing Europe website. The featured image has been used courtesy of a Creative Commons license. 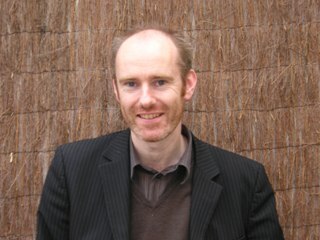 John Garry is Professor of Political Behaviour in the School of History, Anthropology, Philosophy and Politics at Queen’s University Belfast.